Leaders from Scotland’s main opposing political parties came together on Thursday (21st September) in a pledge to work together with the Scottish Chambers of Commerce to heed the concerns of business and prioritise economic growth. 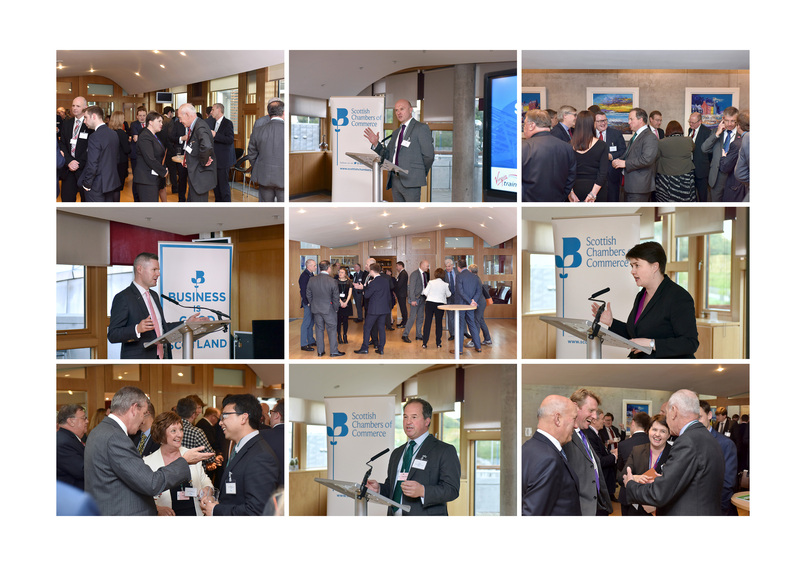 The Scottish Chambers of Commerce Network held its Annual Scottish Business Reception on Thursday, hosted by Scottish Conservative leader Ruth Davidson MSP, and addressed by Derek Mackay MSP, the Cabinet Secretary for Finance and the Constitution. The reception was the second milestone event of the week for the Chambers network, which two days previously hosted the Chinese Ambassador to the UK, HE. Mr Liu Xiaoming at a dinner for 200 Scots business people in Glasgow. In his speech to the gathering of business people and politicians in the Scottish Parliament, Scottish Chambers of Commerce President Tim Allan called for elected members at all levels to put business first and to do all in their power to make Scotland a competitive place to do business. Tim Allan said: “Scotland’s businesses are the creators of our jobs and our wealth. Collectively, they are the engine which grows our economy, pays for our essential public services and provides the opportunities for our people to reach their potential. It is essential that all of Scotland’s politicians from across the political spectrum understand this and deliver policies that support business growth and competitiveness. Liz Cameron OBE, chief executive of the Scottish Chambers of Commerce said: “We are grateful to Ruth Davidson and to Derek Mackay for joining us at our Business Reception, and are very encouraged by their words of support for the Chamber Network.